In this edition of Linkz I’m talking about tools I came across in the past week. There are tool updates, new tools, and some tips about existing tools. Without further ado …. RegRipper has been a frequent topic on my blog lately. The tool rocks and it has saved me so much time over the years. A new version of RegRipper (v2.8) was released as well as a new plug-in archive. Harlan said what the updates were in his post RegRipper Updates. I tested out the new Alert functionality for its malware detection capabilities and wanted to share some results about my tests. I ran every auto-runs RegRipper plug-in across the registry hives infected with MD5 0db4749ae2ec96c4612183e85b48cbb9. My keyword search for Alert found the following entries pointing to the malware (alert was generated since those registry values were present). I then ran every auto-runs RegRipper plug-in across the registry hives infected with MD5 04b687a43618272aa88b83efc1cce8a7. My keyword search for Alert found the following entries pointing to the malware (alert was generated based on the registry value). ALERT: cmd_shell: Clients\StartMenuInternet\IExplore.exe\shell\open\command warning: "C:\Users\lab\AppData\Local\yyr.exe"
The last test I’m mentioning was I ran every auto-runs RegRipper plug-in across the registry hives infected with MD5 78c9d2949c81984414e6e1f5974905e1. My keyword search for Alert found numerous entries and two of them were (alert was generated based file path and file extension). Speaking about RegRipper auto-runs plug-ins. Back in March I wrote up the post Tracking Down Persistence Mechanisms outlining the research I did to track down the most common auto-run locations leveraged by malware. I even did a post about the updates made to the RegRipper to account for all the Run keys. Harlan did a post as well but about the Winlogon key. The RegRipper archive has been updated to account for all the commonly used auto-run locations. The ASEPs RegRipper Wiki page outlines all the auto-run plug-ins and the locations they check. I picked up on the next set of links from Joakim Schicht’s post over at a ForensicFocus forum. I should have known about his tools before now; at least now I’m informed and passing along a gem. Joakim’s post was about his new tool LogFileParser which parses the NTFS $LogFile. There are not that many tools available to parse this artifact so seeing one released (along with its source code) is awesome. I can’t do justice explaining the tool’s capabilities so just read the link to the LogFileParser’s Wiki page. It looks like Joakim wasn’t done since he released another tool (UsnJrnl2Csv) to parse the $UsnJrnl artifact. LogFileParser is able to parse the $UsnJrnl file as well but UsnJrnl2Csv is a standalone tool. 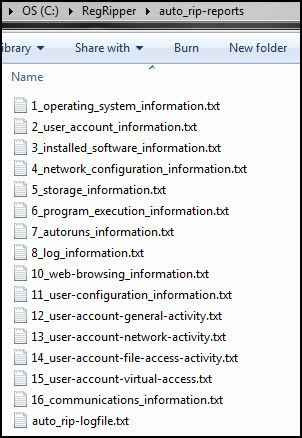 Checking out his available downloads there are a slew of other tools from parsing the $MFT (mft2csv) to extracting NTFS artifacts from images and VSCs (NTFS_File_Extractor). Definitely take the time to check out Joakim’s site and try out his tools. I know my toolkit is getting updated. Not sure why I’m excited about tools to parse NTFS artifacts. Check out these links to see why: Re-Introducing $UsnJrnl, Layering Data, and a bunch of posts on David Cowen’s blog. I recently was rebuilding my laptop and I encountered pretty significant issue. On Windows I always used ActiveState Perl since I keep older versions of the program and never had problems installing modules. However, ActiveState made a change involving older versions of their software. You are no longer able to install modules in older ActiveState Perl programs (5.12 and older) without a business license. This means if you want to run 5.12 then you need to pony up some dough to buy the business license. This is where my issue arose. Log2timeline 0.65 does not work with ActiveState Perl 5.14 and 5.16; you need version 5.12. There is no way I’m going without Log2timeline on Windows so I reached out to Twitter for Perl alternatives. A few people pointed me to Strawberry Perl. I looked into it and tried it out. Final verdict is ActiveState Perl will never touch my systems again. If my endorsement isn’t enough check out the quote on the website from Larry Wall. The next item was to get Log2timeline working on Windows with Strawberry Perl. Matt Presser has a nice tutorial walking you through the process in his post Timeline Analysis. His instructions worked like a charm and now I’m back in business with Log2timeline on my Windows box (RegRipper works fine with Strawberry too). Maybe it’s just me but whenever I think about the Thug honeyclient all I can think about is 90s gangster rap. Westsideeee!!!!!! I first became aware about Thug when Kyle Maxwell mentioned it on his blog. Thug is pretty slick since it enumerates vulnerable clientside applications and captures exploits and malware served up in drive-bys. A new version has been released which you can grab from their GitHub site. REMnux is a distro put together by Lenny Zelster to perform malware analysis. There are not only tools for performing malware analysis but there are also tools to analyze clientside exploits such as PDFs and office documents. Lenny released REMNux 4 which you can grab from here. Run the command a second time to make sure everything installed properly. Then follow the steps outlined in the article How to install Thug Python client honeypot. I’ve had Thug up and running for about a week now and so far it doesn’t seem like anymore dependencies are missing. Earlier in the year I sent out a tweet that was driven by disappointment. This blog is for personal use so I barely discuss what kind of work I did. I was in a pretty cool job. On the one hand I provided digital forensic support for security incidents, fraud, and investigations. On the other I was doing pen testing against public sector organizations. This was the role that made me want to get into incident response. I knew how to attack systems as well as investigate them. Seemed like a natural starting point for me to start my journey into incident response. My tweet hinted to the fact my role was changing; a change that didn’t align with my career goals in InfoSec. I received an overwhelming response from the DFIR community. People offering help in any way they could. I also received support from people I know locally. I may not have taken anyone up on their offer for help but I did appreciate it. It meant a lot and made me realize I have a lot more people I can reach out to then I thought. Thank you. Thank you to everyone who reached out to me and offered me support. This Is a Personal Blog but …. 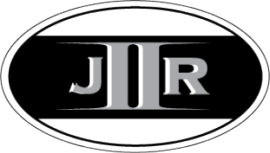 jIIr has always been a personal blog and the content revolves around my personal research and interests. However, I am influenced by the work I do for eight hours a day and it gives me ideas to research. A few weeks back I started in my new position. My primary responsibilities are internal incident response and compliance security testing. I can see the research ideas pouring into my mind as I type this sentence. My blog hopper is already full of things I need to write about. You may see the blog a little more focused on items related to incident response (from the internal perspective) with a sprinkle of pen testing. Disclaimer: anything you see on this blog is personal and has nothing to do with my employer. Hopefully you didn’t get your hopes up about the direction the content is going. You might notice I’m not updating the blog as frequent as I used to. I mentioned on Twitter a few times I’m developing a course. I didn’t really publicized what I’m working on and the impact it’s had on my ability to do research and blogging. I’m developing the Malware Analysis course for Champlain College’s Master of Science in Digital Forensic Science program. The course development has been intense and most of my personal time (and days off) has been focused on the course. I remember taking college courses (both graduate and undergraduate) and afterwards thinking it was a complete waste of time. I even took courses where I felt the content was lacking. I also took trainings where not only did they not cover the theory behind things but there wasn’t a defined process to what they were teaching. I even took trainings where I wanted more but that content was provided in another course at an additional cost. I wanted Champlain College’s Malware Analysis course to be nothing like what I experienced before. Instead I wanted it to resemble the type of course I would love to take. The course is pretty intense but at the end students will have explored a range of topics including: malware fundamentals, malware anti-forensics, how to find malware (both in memory and on disk), and how to reverse malware and exploits. After I finish the course I’m going to focus on a project I put on hold. Last summer I decided I had to write a book. There are some things I want to say and the best format to do so is in a book. I won’t go into the details about the content at this time. However, I did want to provide a few teasers. If you followed my blog for any time then you know I frequently discuss the process I use to perform examinations. In some posts I show the process in action such as the article Finding the Initial Infection Vector. What I haven’t revealed is the detailed checklist I put together that goes along with the process. Just the Windows examination portion is about 60 pages. This checklist is going to be either Appendix A or B in my book. A cool thing about having a detailed process is it can be automated. I wrote some initial scripts to automate the majority of my process. I may release an earlier version of one script but the detailed checklist will be accompanied with a tool or three to automate the examination process. The book will outline a process to follow and provide tools to make the process as fast as possible. The process is only a small piece of what I got in store. If you enjoy reading jIIr, learning about malware detection, and exploring attacks involving malware then you won’t be disappointed. I updated the material for my technique to detect fraudulent documents by analyzing their metadata. I uploaded my latest slide deck to my jIIr site (PDF download) and new cheat sheets for Microsoft Word and Excel documents. My intention was to put together a white paper on the technique but I didn’t have the time. Now I’m probably just going to do a blog post on the topic (hopefully) as my formal good-bye to the fraud world.